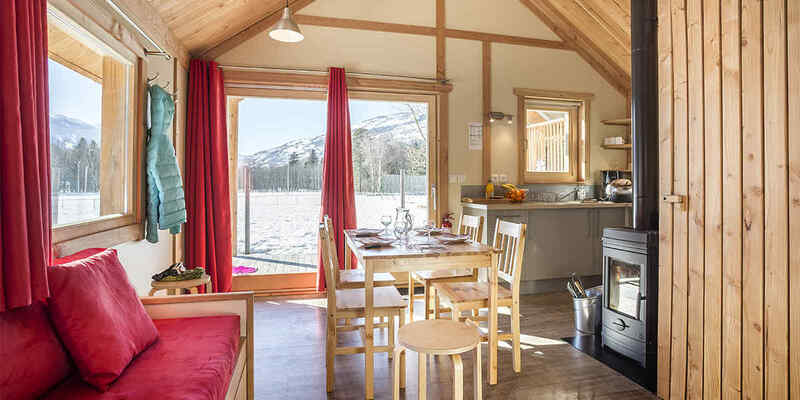 For your ski holidays, choose a Huttopia chalet. 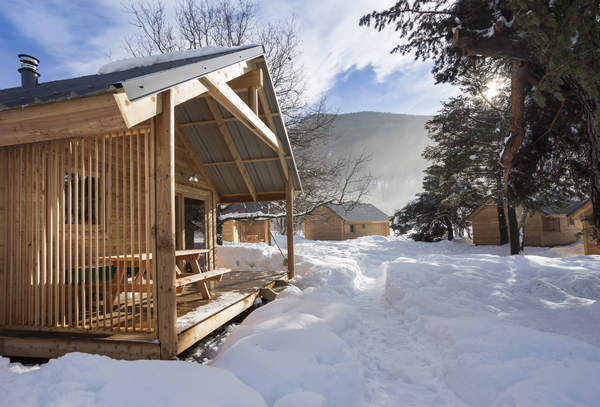 These warm and comfortable chalets have been especially designed for winter holidays. Located just a stone’s throw from the ski slopes, they offer a wood stove, heaters and plenty of storage space. You can also enjoy a beautiful wooden terrace where, you can store your skis in the purpose-built rack. 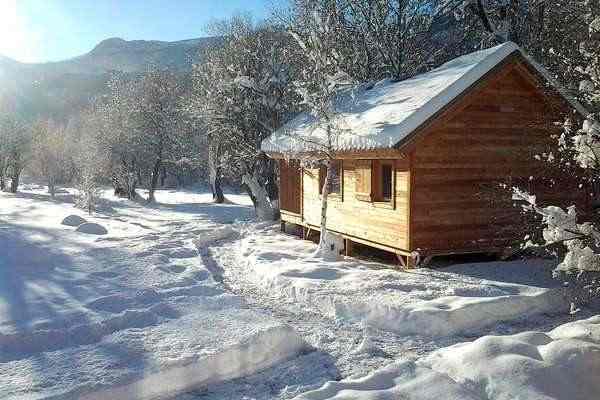 So that you can experience the very best winter holidays, Huttopia offers fully-equipped wooden Chalets for rent. 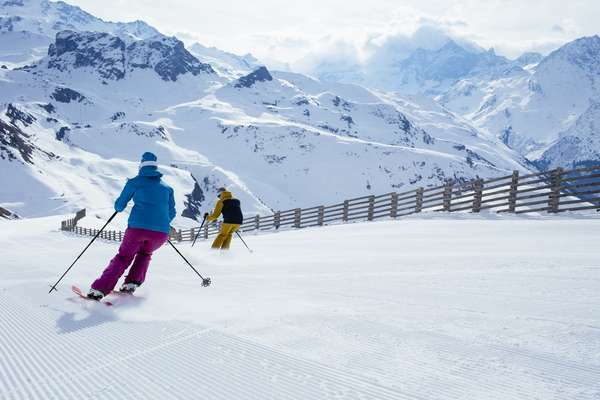 Enjoy ski holidays in true autonomy, in the midst of nature! WHERE CAN YOU STAY IN A CHALET MONTANA? A dream Wood Cabin in the midst of a snowy forest for your winter holidays! With its mezzanine and trapper’s spirit, it is the ideal accommodation for a successful family holiday. WHERE CAN YOU STAY IN A WOOD CABIN? 1800m above sea level in the heart of 8 hectares of national forest overlooking Cerdagne plateau. 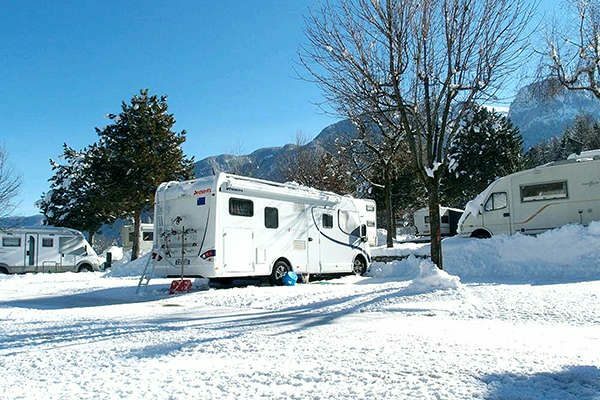 Set up your caravan or motorhome on one of the pitches especially designed for winter caravanning, with magnificent views of the mountains. 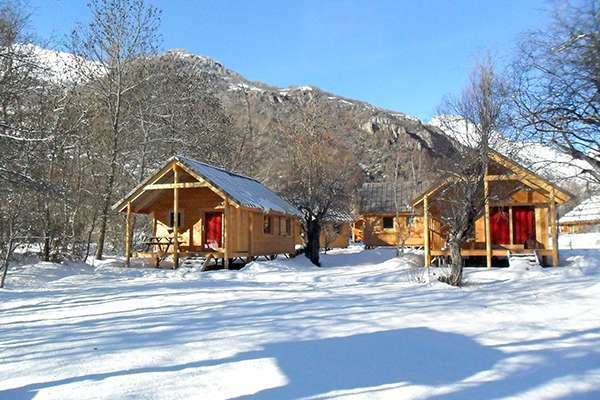 With downhill skiing, cross-country skiing, snow sports and nature activities, Huttopia welcomes you for winter holidays with your family or friends in the heart of the most beautiful mountain ranges in France. The Alps, the Pyrenees or the Jura… take your pick! > NEW: Sheets and towels are provided with your accommodation at Font Romeu, Vallouise, Bourg Saint Maurice. > Ski breaks from 2 nights. > Extend your weekends until 4 pm on Sundays. > Enjoy degressive rates of up to 30% off your weekly stays. > During the winter holidays, rentals are from Saturday to Saturday. 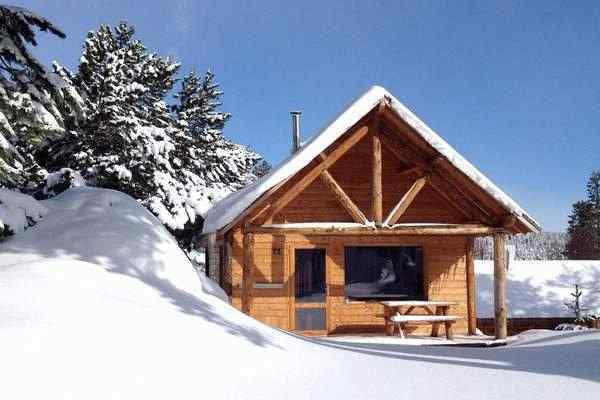 Are you looking to rent a wooden chalet with all the comforts in the Pyrenees, the Alps, or the Jura for a weekend or a longer ski holiday as a family or with friends? Stay in a Huttopia wooden chalet and enjoy an unforgettable winter holiday in the midst of nature in the heart of an exceptional site. Enjoy an authentic winter holiday in the Alps, the Pyrenees, or the Jura. Breathe in the pure mountain air while staying in the midst of nature in a wooden Huttopia chalet. 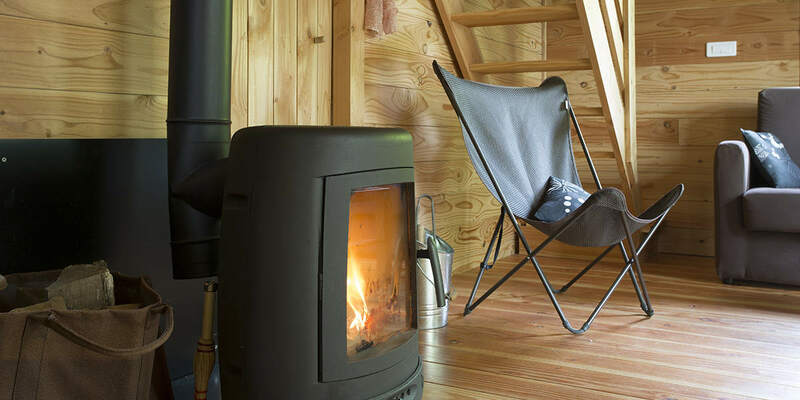 Rent a wooden chalet for your ski holiday and enjoy comfortable and cosy accommodation with its wood stove. Downhill skiing or cross-country skiing? Snowshoeing, sledging, or dog sledding? Nature activities, sport, or relaxing in the hot springs? Our winter destinations have something for everyone!